Here at Rhopoint Components we can offer a range of through hole (THT) and surface-mount (SMD) resistor networks and voltage dividers by industry leading manufacturers Alpha Electronics, Caddock, Ohmcraft and Susumu. With flexible circuit design options, range of tolerances and ratings, we can help find the right resistor network for your project. Our range includes high voltage dividers and high precision, current sensing, high and low ohmic resistor networks, including fully customisable solutions. The SC case-encapsulated precision resistor network series from Alpha Electronics is fully customisable and offers excellent performance in TCR tracking, resistance ratio matching and stability thanks to Alpha's Bulk Metal® foil resistor technology. The SC ultra-precision resistor network series can offer up to a maximum of 10 resistive elements. Each resistive element can range from 30Ω up to 120kΩ all with tight tolerances, both absolute and matching, down to +0.01% (the maximum total resistance for the network is 1,200kΩ). The SC case-encapsulated, through-hole, ultra-precision resistor network series exhibits excellent high frequency characteristics thanks to Alpha's Bulk Metal® foil resistor technology, making them suitable for the most demanding precision applications. For full details, please see the ultra-precision resistor networks supporting document under the technical library tab. Pin pitch for the Alpha SC series will be in multiples of 2.54mm. The SE conformally coated precision resistor network series from Alpha Electronics is fully customisable and offers excellent performance in TCR tracking, resistance ratio matching and stability thanks to Alpha's Bulk Metal® foil resistor technology. The SE precision resistor network series can offer up to a maximum of 5 resistive elements. Each resistive element can range from 30Ω up to 120kΩ all with tight tolerances down to +0.05% absolute and +0.01% matching (the maximum total resistance for the network is 600kΩ). The SE conformally coated, through-hole, precision resistor network series exhibits excellent high frequency characteristics thanks to Alpha's Bulk Metal® foil resistor technology, making them suitable for the most demanding precision applications. Pin pitch for the Alpha SE series will be in multiples of 2.54mm. The SF conformally coated precision resistor network series from Alpha Electronics is fully customisable and offers excellent performance in TCR tracking, resistance ratio matching and stability thanks to Alpha's Bulk Metal® foil resistor technology. 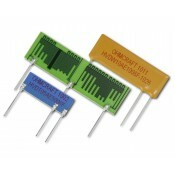 The SF precision resistor network series offers 2 resistive elements. Each resistive element can range from 30Ω up to 120kΩ all with tight tolerances down to +0.05% absolute and +0.01% matching (the maximum total resistance for the network is 240kΩ). The SF conformally coated, through-hole, precision resistor network series exhibits excellent high frequency characteristics thanks to Alpha's Bulk Metal® foil resistor technology, making them suitable for the most demanding precision applications. Pin pitch for the Alpha SF series will be in multiples of 2.54mm. The SLD conformally coated ultra-precision resistor 1-2-3 network series from Alpha Electronics offers a 3 terminal, 2 element resistor network in a small through-hole package. Each resistive element can range from 50Ω up to 30kΩ all with tight tolerances down to +0.05% absolute and +0.02% matching (100Ω to 30kΩ). By utilising Alpha's Bulk Metal® foil resistor technology, they are able to produce this resistor network series with low temperature coefficients (both absolute and tracking) as well as excellent long-term stability. The Alpha SLD series offers three pins with a standard pin pitch of 2.54 ±0.25mm. The SLD through-hole, ultra-precision resistor 1-2-3 network series exhibits excellent high frequency characteristics thanks to Alpha's Bulk Metal® foil resistor technology, making them suitable for the most demanding precision applications. Alpha's SLD resistor network series are ideal for use in input and feedback resistors for amplifiers due to both the input and feedback resistors being incorporated into the same package, therefore amplification is not affected by temperature change. The SM transfer moulded ultra-precision resistor 1-2-3 network series from Alpha Electronics offers a 3 terminal, 2 element resistor network in a small through-hole package. Each resistive element can range from 10Ω up to 30kΩ all with tight tolerances down to +0.02% absolute and +0.01% matching (50Ω to 30kΩ). By utilising Alpha's Bulk Metal® foil resistor technology, they are able to produce this resistor network series with low temperature coefficients (both absolute and tracking) as well as excellent long-term stability. 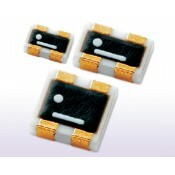 The Alpha SM series offers three pins with a standard pin pitch of 2.54 ±0.25mm. The SM through-hole, ultra-precision resistor 1-2-3 network series exhibits excellent high frequency characteristics thanks to Alpha's Bulk Metal® foil resistor technology, making them suitable for the most demanding precision applications. Alpha's SM resistor network series are ideal for use in input and feedback resistors for amplifiers due to both the input and feedback resistors being incorporated into the same package, therefore amplification is not affected by temperature change. The SS conformally coated precision resistor network series from Alpha Electronics is fully customisable and offers excellent performance in TCR tracking, resistance ratio matching and stability thanks to Alpha's Bulk Metal® foil resistor technology. The SS precision resistor network series can offer up to a maximum of 5 resistive elements. Each resistive element can range from 30Ω up to 20kΩ all with tight tolerances down to +0.05% absolute and +0.01% matching (the maximum total resistance for the network is 100kΩ). The SS conformally coated, through-hole, precision resistor network series exhibits excellent high frequency characteristics thanks to Alpha's Bulk Metal® foil resistor technology, making them suitable for the most demanding precision applications. Pin pitch for the Alpha SS series will be in multiples of 2.54mm. The T1794 series from Caddock are custom low temperature coefficient precision SIP resistor networks, with a resistance range from 500Ω to 50MΩ. 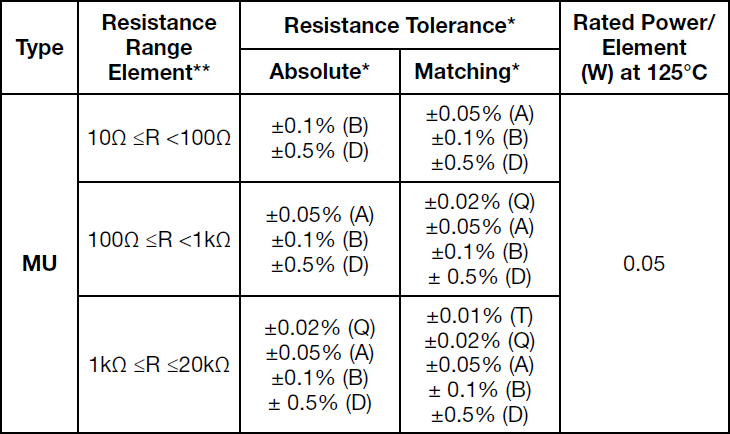 These resistors have an absolute tolerance range of between ±0.025% and ±1.0% and a ratio tolerance of between ±0.01% and ±1.0%. The absolute TCR (from -40°C to +85°C) values are: ±15 ppm/°C, ±25 ppm/°C, ±50 ppm/°C and the ratio TCR (from -40°C to +85°C) values are: ±10 ppm/°C, ±25 ppm/°C and ±50 ppm/°C. The Caddock T1794 series unique thin-profile, single-in-line edgemount package design allows the wide range of flexibility necessary to blend the performance of Tetrinox® resistance technology with particular circuit specifications to arrive at the final network package size, pin spacing and pin style. The T912 series from Caddock are resistor pairs and quads with ratio characteristics for precision analog circuits, with a resistance range from 1kΩ to 1MΩ. 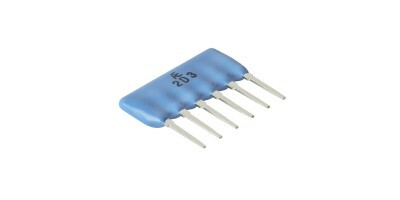 These resistors have an absolute tolerance of ±0.1% and a ratio tolerance from ±0.01% to ±0.1%. The absolute TCR (from -40°C to +85°C) values are: ±15 ppm/°C, ±25 ppm/°C, ±50 ppm/°C, and the ratio TCR (from -40°C to +85°C) values are: ±10 ppm/°C, ±25 ppm/°C and ±50 ppm/°C. The Caddock T912 series are constructed using the Tetrinox® resistance technology, in addition to the 14 standard equal value models of the Type T912 and T914, they can also be ordered with resistance ratios of 10:1, 9:1 or 1:1.